to design and build your one of a kind creation. 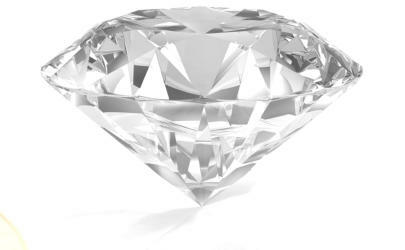 Looking for your next family heirloom? Or maybe you just need that old ring resized. 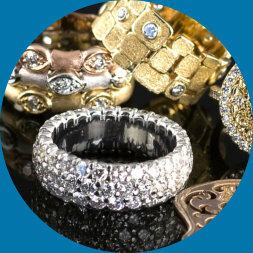 Whatever your jewelery needs may be, C & J Jewelry has you covered, Our Master Craftsmen can make that perfect piece for you and at a reasonable price. 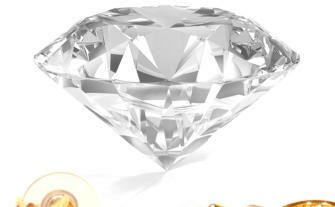 We offer the finest Jewelry that can be made. Bracelets, Rings, Necklaces, or Pins, C & J Jewelry can design and build it for you today! 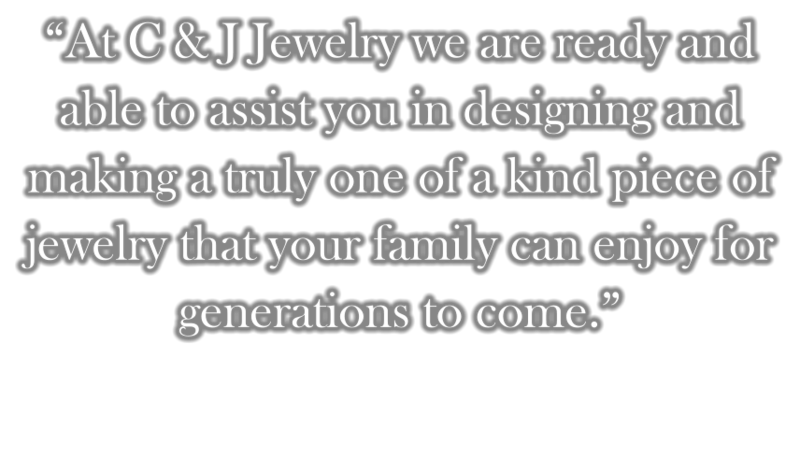 About C&J Jewelry C&J Jewelry is a family owned and operated business comprised of 3 generations of the Stuard family. We have been located at our current store for more than a decade and are going strong. We are constantly updating our inventory at the store, please visit often to see our newest creations. 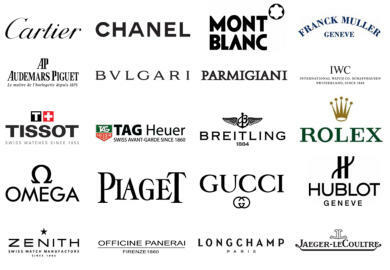 reasons to shop at C&J Jewelry. Who doesn’t deserve that perfect gift? Show him or her how much you care by having a custom piece of fine jewelry designed and made for you today by C&J Jewelry.